New York Smart. World-Class Ready. As an AACSB-accredited institution, Zicklin has long been recognized for delivering superior graduate- and executive-level education and experiences. 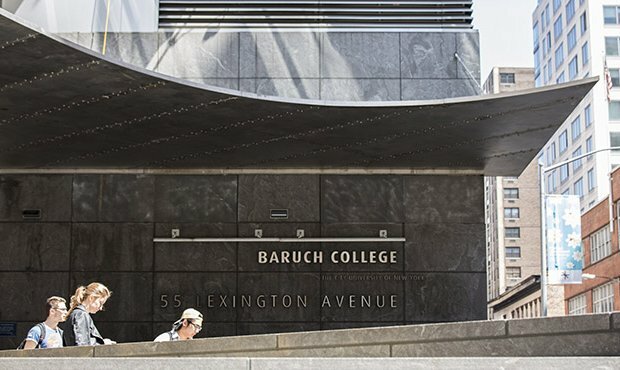 Zicklin is the largest of three schools within Baruch College - a senior college in the City University of New York, one of the leading urban university systems in the United States. 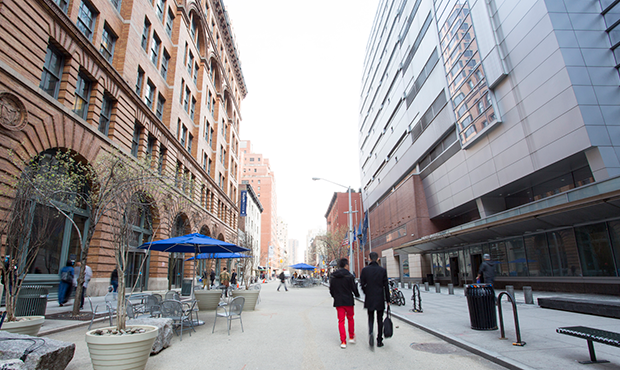 Baruch College consistently ranks among the region's and nation's top performers academic excellence, diversity, and value. At the Zicklin School of Business, we understand the transformative power of knoweldge and the crucial role education plas in shaping the future. The Zicklin School helps students and alumni reach new heights in their careers by providing the knowledge and skills required to thrive in an increasingly global marketplace. Our courses are taught by internationally-recognized faculty experts and experienced corporate executives. 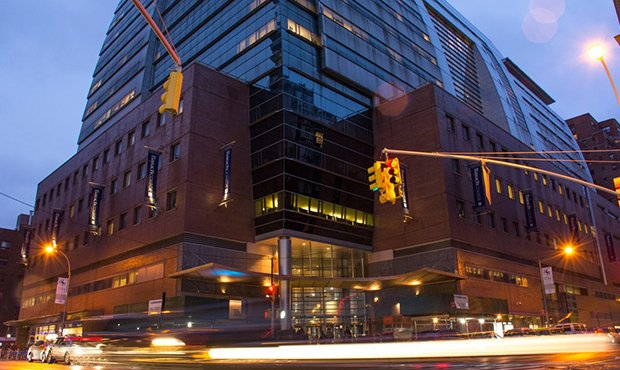 Integrated both physically and philosophically into the fabric of New York City, the world's business capital, the Zicklin School is committed to delivering relevant, affordable, academically-rigorous business education that is both world-class in quality and reputation and worldwide in its impact. *Qualifies eligible international graduates for the U.S. Department of Homeland Security's STEM (Science, Technology, Engineering, Math) 24-month Optional Practical Training (OPT) visa extension. Zicklin’s MS degree programs offer concentrated, in-depth study for students who wish to maximize their expertise. The MS in Accountancy is an AACSB-accredited and a New York State registered CPA program that prepares you for a successful career as an accountancy professional. With this degree, you can broaden your knowledge of accountancy theory and practice and enhance your skills with electives in data analytics, business modeling, valuation, or tax. The MS in Entrepreneurship introduces you to the complexities, risks, and rewards of embarking on entrepreneurial ventures. It gives you the foundations of entrepreneurial strategy and equips you with the skills required to build ventures and grow organizations. With an expansive list of elective courses to choose from, you can customize your study based on your career objectives and interests. Zicklin’s MS in Finance equips you with the advanced knowledge and analytical tools needed to successfully navigate today’s financial markets. You will learn the foundations of managerial finance, financial theory, and investments, while broadening your expertise in areas such as corporate finance, international markets, and mergers and acquisitions. With an expansive list of elective courses to choose from, you can customize your study based on your career objectives and interests. The MS in Financial Risk Management gives you a comprehensive foundational knowledge of current risk management issues, methodologies, and challenges. This degree positions you for a successful career in risk management at a variety of financial institutions and gives you an in-depth look at core areas of risk management, including interest rates, market risks, credits, foreign exchanges, and more. In this program, you will develop a strong understanding of derivatives, analytical and quantitative models, and methodologies in risk management. The MS in Information Systems (IS) gives you a strategic understanding of how technology impacts modern businesses and develops tech-savvy business leaders who are well-versed in both the managerial and technical aspects of organizations. It gives you the fundamental skills in IS strategy, database management, and systems analysis and design. A wide range of elective courses, and an optional concentration in data analytics, allows you to focus your study in areas such as data mining, cybersecurity, e-business, IT in financial markets, and IT sustainability. The MS in Marketing gives you a strong foundation in marketing best practices, consumer-decision making, and strategic processes to prepare you for a successful career in marketing. The core curriculum helps you develop expertise in marketing research, management, and consumer behavior. Students may choose specialize their education with one of our four concentrations: Marketing Management, Digital Marketing, Marketing Analytics, and International Business. The MS in Quantitative Methods and Modeling equips you with a strong quantitative skill set that lets you take a large amount of data and transform it into simple and clear information necessary for organizational decision making. With the economy’s growing reliance on big data, the skills you will gain with an MS in QMM will help you stand out in the job market. You can customize your education with electives in areas such as operations research, statistics, and computer information systems. Zicklin’s top-ranked MS in Real Estate gives you the analytical and financial background necessary to succeed in the business of real estate. It exposes you to the major concepts, methods, and tools useful for making investment and finance decisions regarding commercial real estate assets. 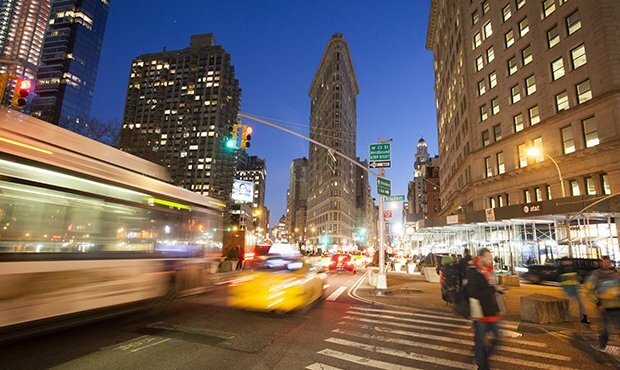 The program leverages its business relationships and industry-expert faculty to bring the New York real estate industry to the classroom. The MS in Statistics trains you in the design and application of quantitative models for decision-making in business. The program provides you with the concepts and skills that form the fundamental knowledge essential for statistics professionals in today’s sophisticated business environment, including business analytics and data mining. The Master of Science in Taxation prepares you to work in tax-related positions at accounting firms, corporations, government entities, or your own practice. the program teaches you the foundations of corporate and federal tax policies and gives you the option to customize your studies with more advanced courses. You will gain the research and technical skills necessary to properly interpret industry trends and stay ahead of the curve in new developments. Find out more about Zicklin's Admissions Process here and visit Zicklin's Graduate Admissions page to get started. Zicklin’s Executive MS degree programs offers a highly-concentrated, accelerated program for professionals looking to take their career to the next level. The administrative details, including course registration, materials, and meals, are handled through the program. The 20-month Executive MS in Human Resource Management transforms today's HR professionals into industry leaders. Our curriculum focuses on new technologies and data-driven trends, giving you the skills and insight to turn your organization's people strategy into a revenue driver. The cohort model and evening classes allow you to grow your professional network and learn alongside other HR professionals. Earn your degree in just 11 months with an Executive MS in Finance. The accelerated, cohort model is designed for finance professionals looking to take their career to the next level. The EMSF addresses current and future challenges facing the world's business environment and gives you the skills to navigate major practices and trends in finance like risk management, venture capital, and financial technology. Earn your degree in just 11 months with an Executive MS in Information Systems. The program provides comprehensive coverage of both the technical knowledge and strategic skillset that today’s executives need, while simultaneously offering a deep focus on the tools and methods of data analytics that will give you the skills necessary to initiate, run, and evaluate full-scale data analytics projects. Find out more about Zicklin's MS program tuition and scholarship information here. Learn more about the admissions criteria and tuition and fees for each individual the program below. New York Smart. World Class Ready. There are many ways to connect with the Zicklin Admissions Team. We offer many on-campus and virtual information sessions. Request more information about our programs and subscribe to our mailing list. These are useful for those who have specific questions about degree program or the admissions process. Appointments are availalbe in-person, by phone, and by Skype.